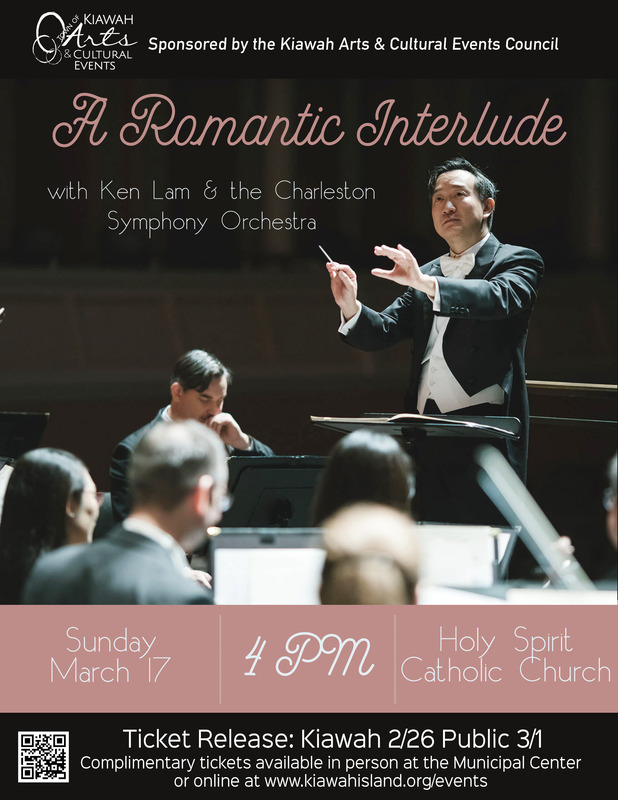 Tickets available here beginning 3/1 at 9 a.m.
Ken Lam and the Charleston Symphony Orchestra return to Kiawah presenting unforgettably expressive and dynamic music from the Romantic era. The program will feature works from Wagner, Mendelssohn and Tchaikovsky. Now in its 82nd season of providing superior musical performances to the area, the Charleston Symphony Orchestra is the cornerstone of Charleston’s art scene. The CSO is helmed by Music Director Ken Lam, winner of the 2011 Memphis Symphony Orchestra’s International Conducting Competition and recipient of the 2015 Johns Hopkins University Global Achievement Award. Even sweeter, A Romantic Interlude, is presented free of charge.